Acupuncture is a traditional Chinese art of medicine with a history of more than 3000 years. Today, through combining the principles of ancient Chinese medicine and modern medical knowledge and technology, acupuncture has evolved into a sophisticated, popular medical treatment. 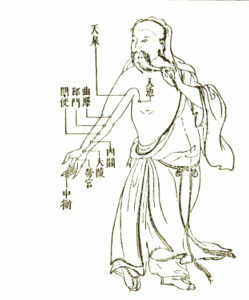 Acupuncture was developed based on a theory of energy flow. There is delicate interplay of rhythmic energy flows in human bodies and when one of these flows is interrupted, disease may occur. By restoring the disordered energy flow, acupuncture enables cure of diseases. The treatment is accomplished by stimulating the appropriate reflex points with disposable, sterilized fine needles (with minimal to no pain). The procedure is extremely safe. A disposable sterilized fine needle is carefully inserted into a reflex point on the skin specially chosen for each disease and individualized patient. A slight pinch is usually sensed at the time of insertion. The needle remains in place for about 20 minutes during which time patients are very relaxed and comfortable. 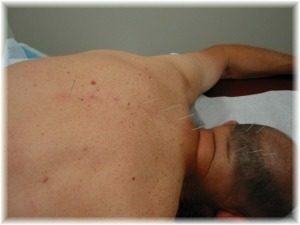 Conventional acupuncture can sometime be even more effective if combined with following treatments, all of which are available in this clinic.